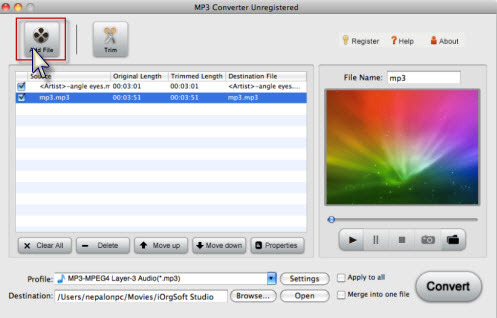 How to merge MP3 files on Mac Lion? As the newest Mac operating system, OS X Montain Lion is recognized as "the world's most advanced desktop operating system." The Mac Lion brings many new features like iCloud, iMessages, Reminders, etc. Need MP3 Merger Mac Lion? When you get some MP3 files from movies, websites or CD on Mac Lion, do you want to combine these MP3 tracks into one for playing on MP3 players? To merge these MP3 music, you can choose a MP3 Merger tool like MP3 MP3 Joiner MAC. 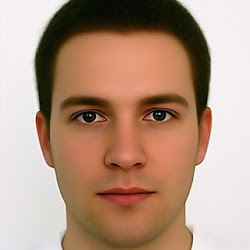 MP3 Merge Mac is the best and trustworthy MP3 merging software on Mac Lion. It can assist Mac Lion users to merge, join or combine MP3 tracks into a whole one. Then you can import MP3 music from Mac Lion to portable devices like iPod. 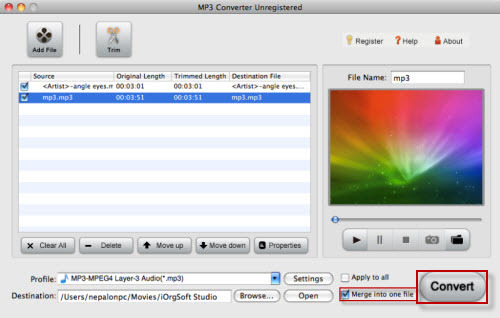 Step by step guides about how to combine, join or merge MP3 tracks on Mac Lion. Free dwonload MP3 Merger Mac, install and run it. Click "Add File" button to batch load MP3 files from Mac Lion to the MP3 Merge. Then you can see the MP3 files list in the interface. 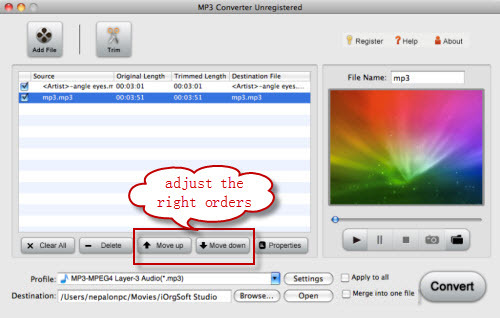 Click "Move up" or "Move down" to adjust the right orders for the MP3 files. Tip: The output file will be joined according to the file from top to bottom. After setting the right order, just need to check "Merge into one file" and click "Convert" button. You can join, merge, combine several MP3 files on Lion. After merging, click "open" button to find the new big MP3 files. Then enjoy these music. Copyright 2012 MP3 Merger for Mac and Mp3mergermac.com All Rights Reserved.